I love to make pretty things. And, I simply love it, when I can make them out of some things, no one needs. 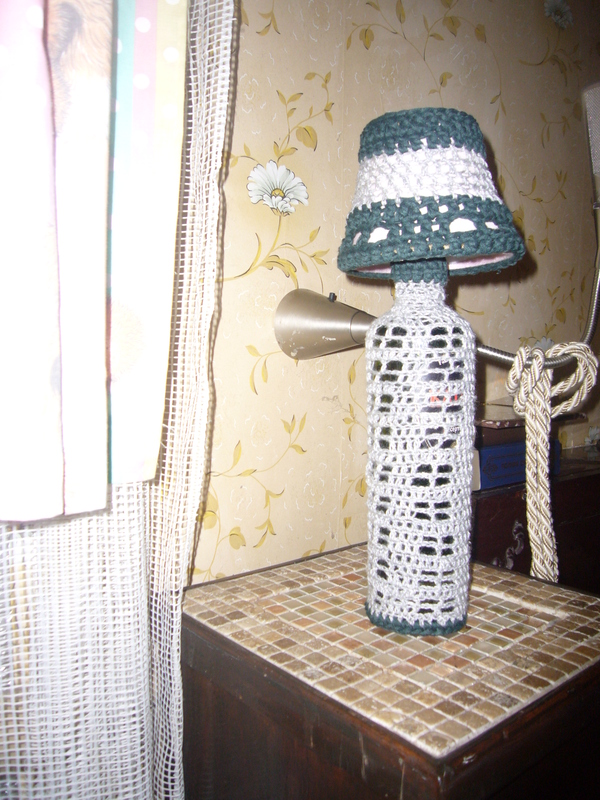 It took me only 4 hours to make this hand made lamp. I crocheted it. As a stand for it I used a wine bottle. I also had an old lampshade at home. And, I had two little green and gray yarns. Besides, my husband is an electrician. So, I did not have to pay anyone to make this lamp shine. I found a pretty simple crochet style in the Internet and got to work. 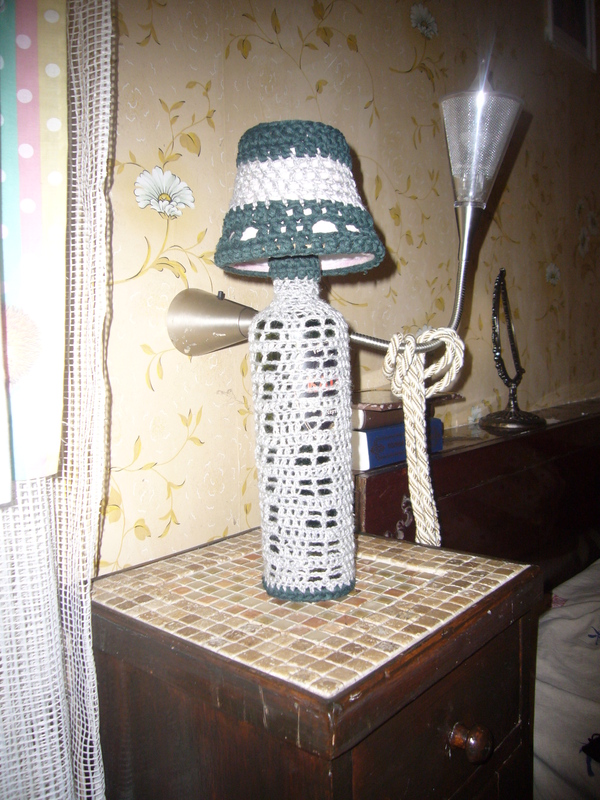 I used two hooks of different sizes to crochet this lamp. It’s a pity I am not a great photographer. The lamp does not look as good on my pictures, as it does in reality. Just little creativity and time and you get exclusive decor lamp for your bedroom. 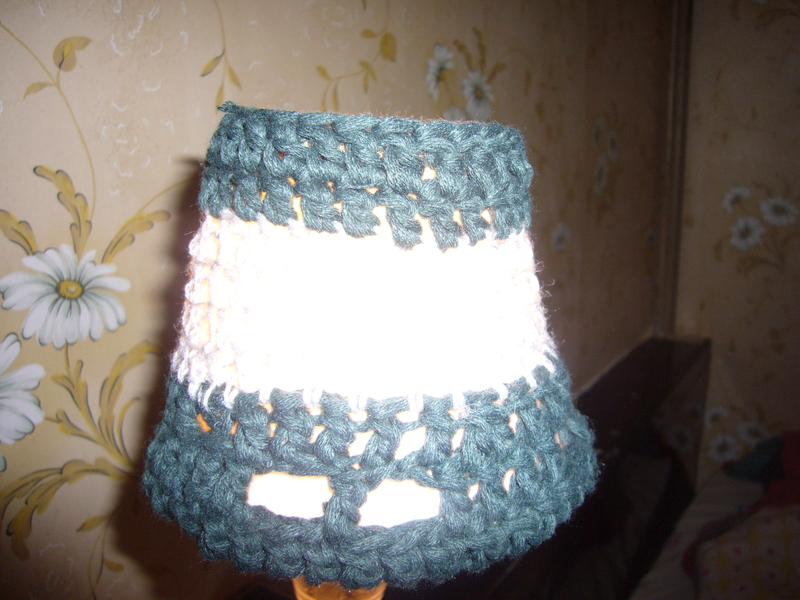 This entry was posted in Crocheting and tagged crafts, crochet, crocheted lamp, crocheting, hand made, handmade, handmade lamp, handmade lamp in 4 hours, home decor, lamp, tips for moms. Bookmark the permalink.